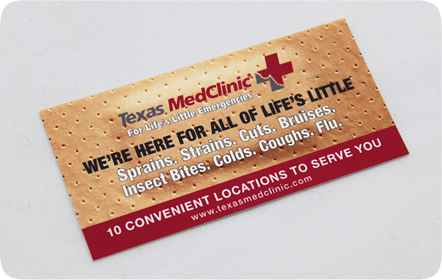 Texas MedClinic has been on the forefront of Urgent Care and Medical services since 1982. 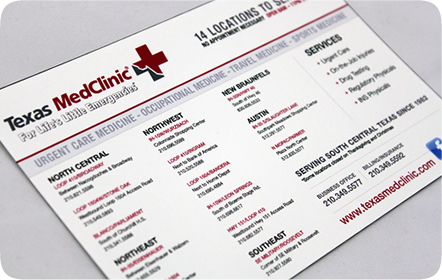 With clinics in San Antonio, Austin and New Braunfels, Texas MedClinic is best known for their affordable prices and their 24/7/365 clinic. 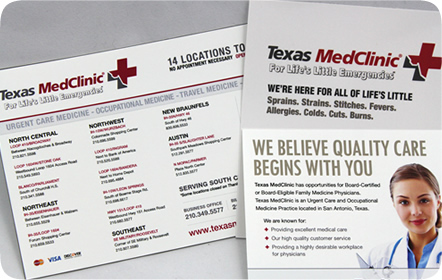 As one of our larger clients, they’ve asked us to work on an expansive set of designs while ensuring their brand remains strong and consistent across the board. 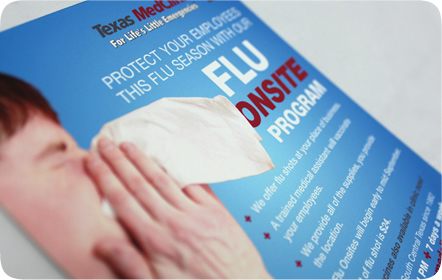 Texas MedClinic is partnered with the Spurs, so it gave us the chance to create a variety of pieces used during games at the AT&T Center. 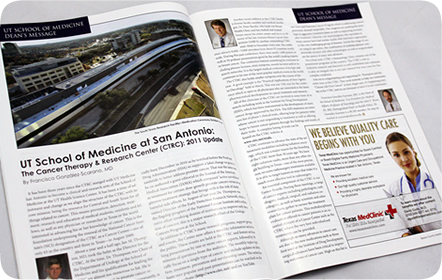 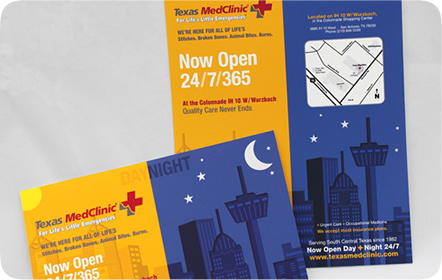 T-shirts, pocket game schedules, even the LCD billboard ads for Texas MedClinic and the Spurs were all created by us. 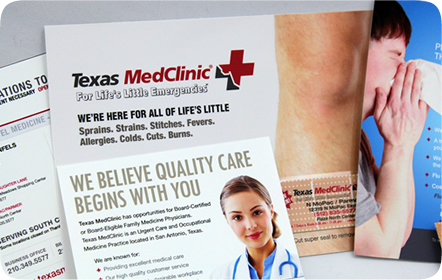 Their direct mailers and magazine advertisements for the San Antonio and Austin areas have also been made by our team, reaching a broader audience in central Texas. 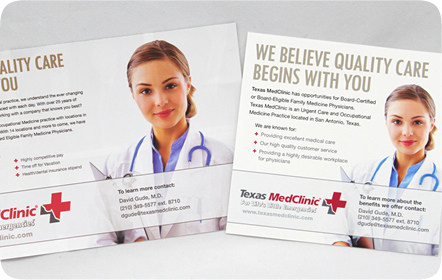 Several of their ads and take-home pieces are used within their own clinics as well, to inform patients of their services. 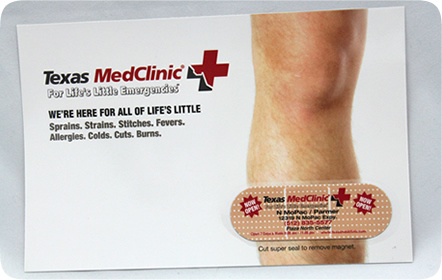 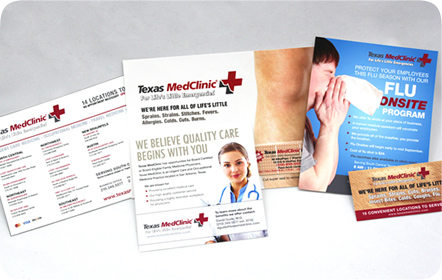 Our campaigns and designs have had great success in attracting new clients and keeping current ones that Texas MedClinic has returned to us on multiple occasions.